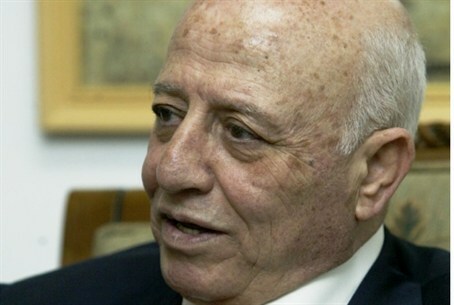 Former PA Prime Minister Ahmed Qureia is taking another serious look at the “one state solution” with Israel. Former Palestinian Authority Prime Minister Ahmed Qureia, whose nom de guerre is Abu Ala, is taking another serious look at the “one state solution” with Israel. Once the PA's chief negotiator, Qureia expressed frustration and disappointment with the paralyzed peace process in an interview published over the weekend in the London-based Al-Quds Al-Araby newspaper. "Despite the endless problems it embraces, [it] is one of the solutions that we should be contemplating through an internal dialogue,” Qureia said. The Arab world, he said, was too preoccupied with its own affairs to attend to the issues facing the Palestinian Authority and its bid for statehood. The Ramallah-based PA government's ruling Fatah faction, led by chairman Mahmoud Abbas, is vehemently opposed to a one-state solution with Israel. However, recently in Doha, Ramallah was represented by several Israeli Arab Knesset Members who were identified, and self-identified, as officially attending the gathering specifically on behalf of the Palestinian Authority.